Zahara has changed all that with her debut album Loliwe. 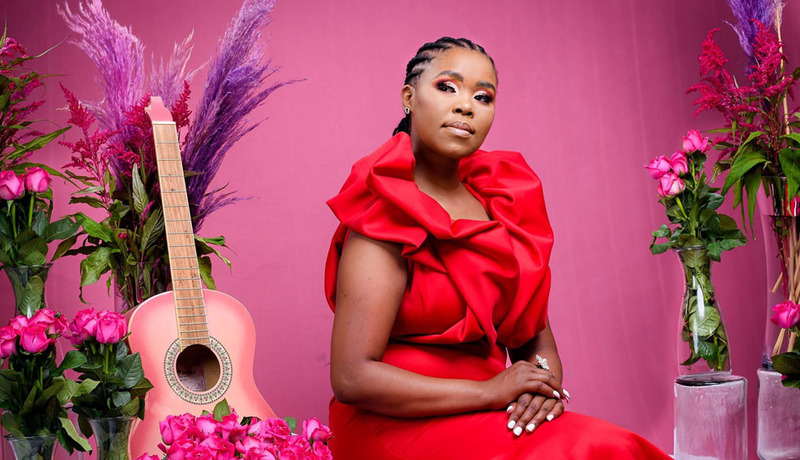 The 23-year-old songstress, whose real name is Bulelwa Mkutukana, Zahara is a complete musician, apart from singing with an alto voice, she also plays the guitar. Her debut album is a mixture of neo-soul, Afro-pop sounds with rock elements, traditional Xhosa rhythms with the mixture of chanting reggae and blues. Some people have already likened her to US singer Tracy Chapman because of her guitar-playing style. With the mid-tempo song Loliwe gaining massive airplay, Zahara will find her own identity which will make her a local and international phenomenon. Zahara is indeed a name to remember. There’s something extra special in that smoky alto voice and how she plays her guitar. She’s also being touted as the next Mzansi’s Asa, India Arie and Erika Badu. This for a new artist is such as blessing indeed. But Zahara, whose means "budding flower" in Arabic, the career of the village girl is blooming. She was born in Phumlani village near East London, in the Eastern Cape, and has already shared the stage with emerging legends Judith Sephuma and Chante Moore at the Tribute Concert in Moretele Park, Pretoria, in August 2011. Before all this buzz of Loliwe really became huge, Zahara had shared the stage with ’ Nhlanhla Nciza when she recorded her live DVD at the Jozi’s Standard Bank Joy of Jazz. Nhlanhla literally introduced Zahara and the crowd at the venue was taken aback with this amazing talent – and they did a duet on the hit song Loliwe. Zahara’s journey to the music industry started when executive and co-founder TK Nciza discovered her in 2009. She was performing at a gig in the Eastern Cape and TK noticed the talent. "TK saw me and spoke to me. He said he wanted to record me and I was happy. But when he came back with Nhlanhla Nciza (his wife) a week later, I saw how serious they were. They then took me to Joburg and I’ve been staying with them in their house since 2009. She says in her album sleeve: "I thank TK for discovering me and giving me this opportunity to record an album and Nhlanhla Nciza for opening the doors of her house to a stranger and always making me feel at home!" Zahara says about her stay and recording: "I had a peace of mind while staying with them and I was able to write songs and took my own time in recording the album. This has borne fruit because people love the song. "I was allowed the freedom to keep everybody in line with my sound and, I must say, I am extremely happy with the result and reception." But she had to compromise her studies as she was a human resources student. She suspended her studies to record her album but will still pursue both her career and finish her studies. Zahara is not just adding numbers in the music industry. She follows on the footsteps of fellow great Xhosa singers and carries the baton of the likes of pop diva Brenda Fassie. Other female Xhosa singers who have made an impact in the music industry are: Thandiswa, Simphiwe Dana and Siphokazi.